You've never seen a Marvel "hero" like this one. 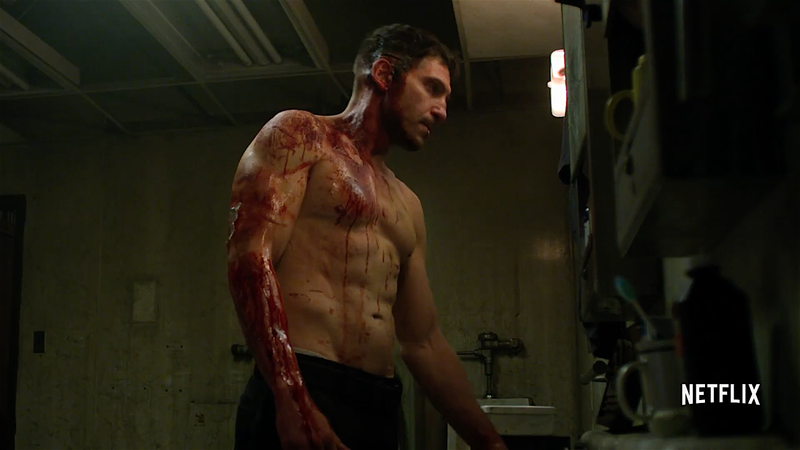 Most fans liked Jon Bernthal’s take on the Marvel antihero The Punisher when he made his debut in Daredevil Season 2 on Netflix, but now that people have seen the vengeful Frank Castle in his own solo series, the reviews are streaming in. The Punisher picks up some time after the character’s debut in Daredevil Season 2 with Frank trying to lay low while figuring out just what his vigilante identity should be. When a hacker going by Micro (Ebon Moss-Bachrach) connects with him, Frank realizes that the conspiracy leading to the death of his wife and child might have been deeper than he ever realized. So, in addition to being a punishingly violent revenge story, The Punisher also becomes something akin to a global conspiracy thriller that also introduces a handful of supporting characters from federal agencies. As the series starts, Frank’s been on a six-month hiatus from all the killing, but as he gets dragged into a government conspiracy, he re-emerges as a killing machine to get to the truth. Jon Bernthal is 'The Punisher'. Writing for Forbes, Merrill Barr straight-up called The Punisher “The Best MCU Series Ever Made. Really.” in the headline, which is a bold claim that a lot of people might agree with. Barr also notes, “The Punisher is also the most violent, unhinged series ever produced by the house Feige.” Despite their differences, the other street-level Marvel heroes all present relatively straightforward adventures. Frank Castle is a bit more unhinged and definitely more violent. His whole thing is killing anybody he deems a lowlife. Frank Castle's on a bloody streak of vengeance. All in all, The Punisher offers up something that feels new and unique set against the pantheon of Marvel’s Netflix heroes, one that’s getting almost universal praise. If you can stand the violence and limited gore, than it might be your new favorite. Marvel’s The Punisher will be available to stream on Netflix November 17, 2017.